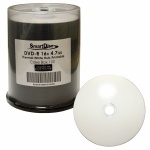 MIC-DVD-R-EVR100 When it comes to recordable DVD-R media, use a trusted brand. 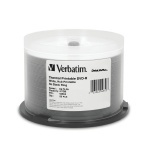 Microboards Technology now offers its own line of DVD-R media with silver lacquer (thermal), Everest compatible and white inkjet surfaces, ideal for use in printing with Microboards' line of disc printers and publishers. 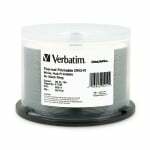 Disc finishes are extremely smooth and feature a fast dry time. Designed for use in duplication, all media is fully licensed by Philips and compatible with the highest recording speeds. 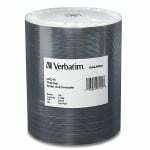 97015 Create high quality, customized labels for your DVD media with Verbatim White Thermal Printable DVD-Recordable discs. Offering 4.7GB or 120 minutes of DVD-quality storage capacity, these are one-time record discs, ensuring that your movies, video clips or other data will not be erased. TDMR-WPT-SK16 CMC Pro (Powered by TY Technology) DVD-R media is manufactured to Taiyo Yuden's strict specifications and quality control standards, and is a perfect fit for professionals that require the lowest failure rate, highest playback compatibility, and superior printable surfaces. 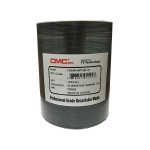 Get the most out of your Thermal Printer with CMC Pro Thermal printable media. 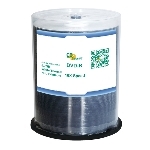 The printable surfaces are specially-formulated to work with high-end thermal printers, to consistently accept the printed image, and to minimize peeling or tearing. 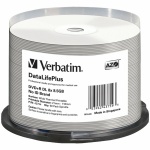 43754 From the pioneer in double layer DVD technology, Verbatim introduces DVD+R Double Layer media with a white thermal printable surface. Now you can burn 8.5GB of data or video and customize the disc label with high resolution full color images. 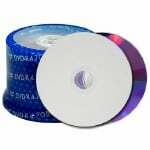 Perfect for high volume DVD duplication, these discs can be burned up to 8X speed with compatible DL burners, saving up to 25 minutes per burn!